When California Rep. Jackie Speier is not chasing military officers looking for sexual sadists, she is following Social Security Judges trying to “red flag” them. She proposes a system to review cases from “red flag” judges. Judges who have high approval rates send up ‘red flags’. Speier has had enough. The Democrat from San Mateo who has been on the front lines fighting to expose and correct the epidemic of sexual assault and harassment in the military has turned her attention to her own colleagues. Representative Speier introduced a bill that would require all House members and staff to take sexual harassment training every two years. 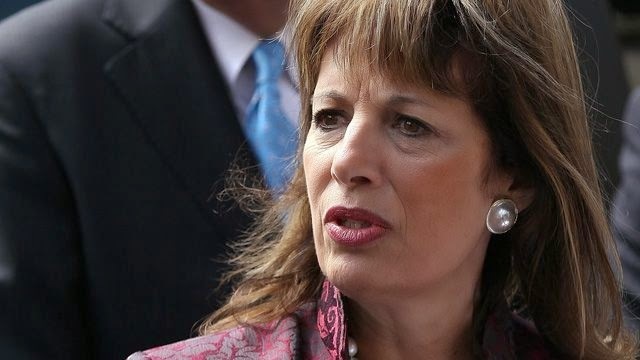 Rep. Jackie Speier, California Democrat, one of the heads the House Oversight and Government Reform subcommittee on health care, say Social Security employees should be allowed to look at the social media profiles (such as, Facebook, Twitter, etc) of those applying for disability, reasoning that photos and other information people post can expose the applicants as able-bodied. She also said that two Social Security judges may have approved thousands of bogus disability claims, but the agency has never gone back to review those judges’ cases to stop the ones that were fraudulent. Speier said the agency should come up with a system to review cases from “red-flag” judges who show inclinations toward rubber-stamping applications. In an exhaustive 11-page memo to Social Security acting Commissioner Carolyn W. Colvin, she detailed nearly a dozen recommendations for improving a disability system that has received an explosion of applications in recent years and is in danger of going bankrupt by 2016. It was indefensible that the Social Security Administration (SSA) hasn’t reviewed applications approved by two administrative law judges, David B. Daugherty in West Virginia and Charles Bridges in Pennsylvania, who have been accused of making bogus disability determinations. Kia Anderson, a spokeswoman for Social Security, said the SSA takes fraud seriously and will review the lawmakers’ recommendations. “We recognize that one case of fraud is too many and work aggressively to detect and prevent abuses. We continue to enhance our program integrity efforts by adding tools like data analytics which enables us to identify patterns of suspicious behavior in disability applications,” she said. She made a pitch for Congress to grant more funding so the SSA can put more effort into preventing fraud. Judge Bede singled out Judge Bridges, who decided more than 2,000 cases a year and who often went beyond looking at an applicant’s disability and considered income or other factors. Judge Daugherty, meanwhile, approved 99.7 percent of his cases from 2005 through 2011, awarding disability benefits to 8,413 people — the equivalent of $2.5 billion in total lifetime benefits. Major cases of disability fraud have been reported in West Virginia, Puerto Rico and, most recently, New York City, where investigators said police officers falsely claimed disability from the Sept. 11, 2001, terrorist attacks. Some of those New York cases were exposed in part because investigators found online photos of the officers engaged in flying helicopters, going on deep-sea sport-fishing trips and riding personal watercraft. That is one reason lawmakers want Social Security employees to scour social media before approving applications, and again when they go back for periodic checks, known as continuing disability reviews (CDR). “To increase efficiency and reduce the number of erroneous disability determinations, SSA personnel should be allowed to review each applicant’s social media accounts prior to the decision to award benefits. Additionally, we suggest that SSA require that all CDRs incorporate a review of the beneficiary’s social media accounts,” Ms. Speier said. Social Security has repeatedly refused to let its investigators use social media, arguing that its judges aren’t trained to evaluate the information. “Adjudicators should do what they are trained to do: Review voluminous files to determine eligibility for disability benefits. Office of Inspector General fraud investigators should do what they are trained to do: vigorously follow up on any evidence of fraud,” said Ms. Anderson. From 2010 through 2012, Americans filed 8.6 million disability claims, but judges and Social Security’s disability review office reported only 411 suspicions of fraud. That works out to fewer than one out of every 20,000 applications. Part of the problem is that Social Security is lax in reviewing cases of those deemed temporarily disabled to see whether they have recovered. But a review of cases from 1980 through 1983 found 40 percent of those receiving disability benefits were not disabled, suggesting a tremendous level of bad payments. Disability judges who have high approval rates send up red flags because by the time a case gets to an administrative law judge, it has already been denied by at least one previous review at the State DDS, and often by a second DDS review, the two lawmakers said. That would suggest the approval rate for those cases should be low. Social Security is made up of two trust funds. The main one is the Old Age and Survivors Insurance Trust Fund, with the Disability Insurance Trust Fund accounting for a smaller but growing part of the agency’s work.